Have you ever dreamed of becoming a beautiful mermaid? Mermaid has the ability to swim, dive and live in the ocean with a variety of lovely marine life such as crabs, seahorses, coral, octopus and so on. It sounds very interesting, right? 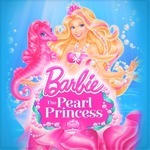 Jump into Barbie The Pearl Princess Dress Up at y8y8y8 online games and explore the beautiful ocean now. 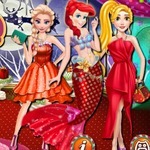 In this game, you will become the stylist of a beautiful princess and your task is to help her choose and combine the unique outfits. You can change many choices such as hair style, necklace, crown, belt, bra, fishtail, and underwater scene. You do not need to follow any rules or style, all you need to do is choose and combine the style you love. To select items, you just need to click on the icons on the screen until you are satisfied with the costumes. You can create costumes with traditional or old colors or you can combine and create unique outfits and styles. Do not worry about anything! The fashion world is in your hands. Much fun! Are you ready to create unique styles in Barbie The Pearl Princess Dress Up? 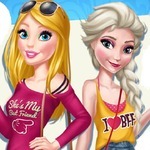 If you are a fan of fashion games, follow the list below and experience more with Princesses Comics Heroines on http://www.y8y8y8.games. 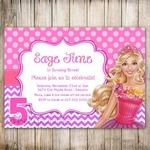 Hope that you will have a great time! Use your left mouse to play the game.